ClearCorrect can treat a wide range of teeth spacing issues and bite conditions known as malocclusions, bringing your teeth into proper alignment to improve both your bite function and the appearance of your smile. Although ClearCorrect is a versatile and effective treatment for many teens and adults, it is not the right treatment for every patient with misaligned teeth or a bite problem. 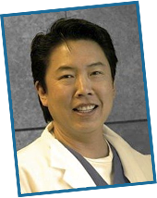 Your consultation and exam with Hayward dentist and ClearCorrect provider Dr. Gary G. Fong will determine the best option for you individual needs; please call 510-582-8727 to schedule your appointment. ClearCorrect can treat many of the same conditions as traditional metal braces, but with a number of benefits. For additional information about the advantages of ClearCorrect, please see our ClearCorrect vs. Metal Braces page. If not treated, these common teeth alignment problems and bite conditions can play a role in progressive dental health issues such as tooth decay, periodontal disease and temporomandibular joint disorder (TMJ/TMD). A symmetrically aligned smile can boost your self-confidence. More importantly, teeth that are in proper alignment also have a number of oral health and practical benefits. Well-aligned teeth contribute to good bite function and speaking ability. With optimal dental care, a proper bite also helps you maintain your long-term oral health; misspaced teeth can allow a gradual accumulation of plaque that may result in tooth decay and periodontal disease among other problems. If you live in the greater Hayward, Castro Valley, San Leandro or Union City, California, areas and would like to know if ClearCorrect is right for you or your teen, please contact Dr. Gary G. Fong today.